They have been in Goma since late January. DAVID mentors the administrative staff across the whole organisation of HEAL Africa. He is also part of the HEAL Africa Assemblie Generale (AG) (HEAL Africa Board) whose Annual General Meeting took place from 2-5 March. He has had much responsibility in helping the Congolese staff prepare for the meeting while HEATHER has been busy teaching English to HAH staff and medical students. A complete new intake of medical students commenced at the hospital a few weeks ago. 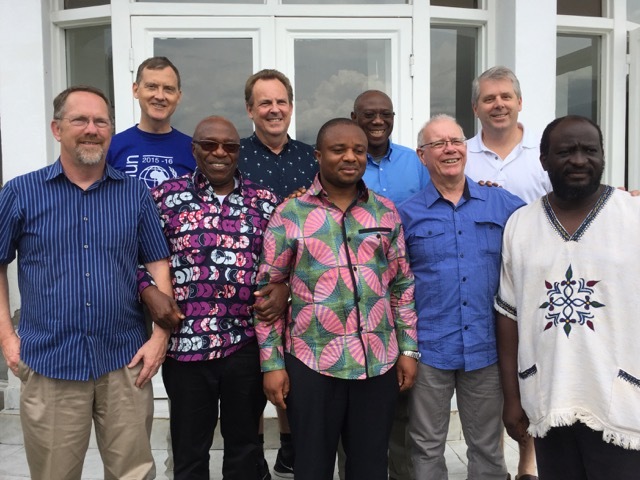 HEAL Africa Board. David Kelly front row, second from the right. Lindsay Thitchener (from SONIC) is the other Australian on the Board – back row, second from the left. 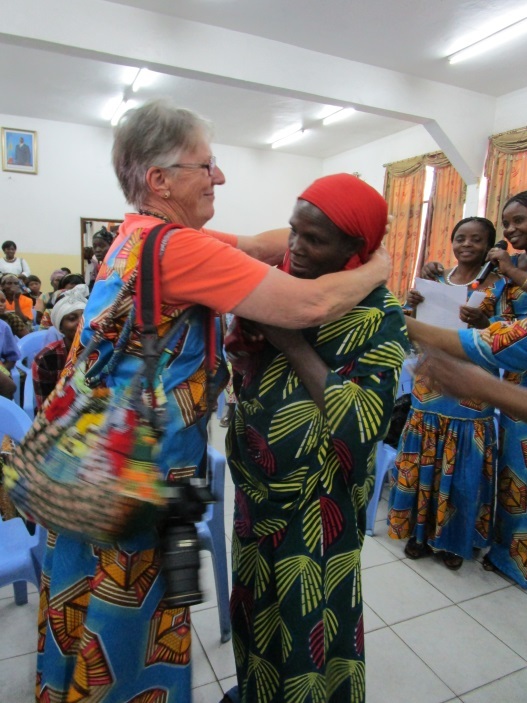 NEIL & GWEN arrived back in Goma on 27 February. Although not part of the Assemblie Generale they have enjoyed meeting some of the board members from Africa and the USA. 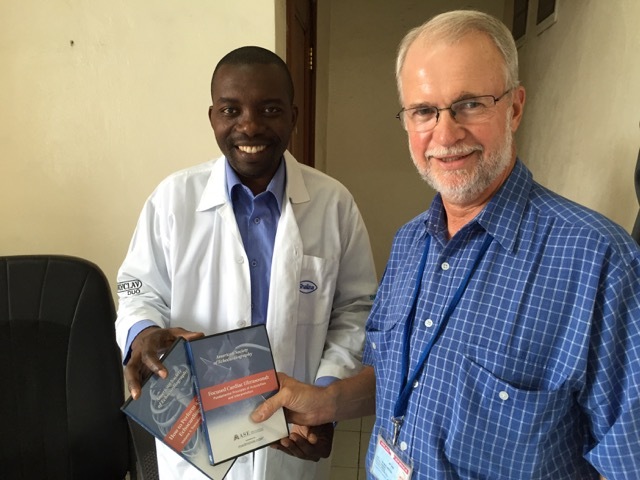 They had a busy week of settling in and establishing contacts with staff and patients at HEAL Africa Hospital. As there was a team of 4 American surgeons at the hospital NEIL kept a low profile surgically to allow them to complete their programme. NEIL, GWEN & HEATHER did have the opportunity to sit in on the public reports to the Assemblie Generale presented by hospital staff. It provided interesting insights into the whole organisation. Time was also spent with the new CEO of HEAL Africa-USA (the USA charity supporting HEAL Africa Hospital) to discuss how a more co-ordinated international approach can be achieved. 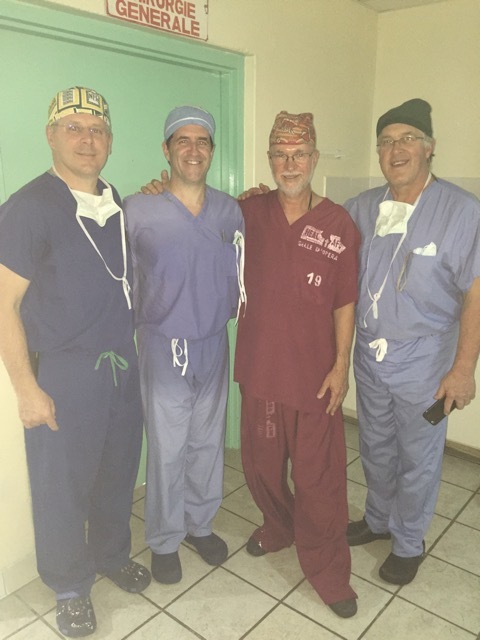 HEAL Africa Hospital (HAH) has been assessing the establishment of a ‘Basic Essential and Emergency Surgery Training Programme’ in conjunction with the “College of Surgeons of East, Central and Southern Africa” (COSECSA) in an effort to meet the huge un-met surgical need in D.R.Congo. NEIL spent much of the first week preparing for this. He also gave a presentation on the proposed programme to the HEAL Africa Assemblie Generale, who then agreed to proceed with it. This has meant a large amount of work for NEIL, who will now facilitate the actual course and meet with the HEAL Africa Trainers on staff and trainees. Five inaugural trainees in the new basic essential and emergency surgery programme at HAH have been registered online with COSECSA, not easy considering the poor internet connectivity. AusHEAL has taken on the sponsorship of one of these trainees. Future blogs will outline this new thrust into wider provincial surgical, obstetric and anaesthetic needs. It was good to welcome POTEAU back to HEAL Africa Hospital. Poteau is a staff nurse-anaesthetist, who has been sponsored by AusHEAL for 2 years of additional training in paediatric anaesthesia in Kinshasa, the capital of DRC. Anaesthetising children has a higher level of risk in comparison to adults, requiring special expertise and experience. It is envisaged that Poteau’s return will enable him to pass on his newly acquired skills and knowledge to the remaining nurse-anaesthetists. Another significant experience during the first two weeks was to present to Dr ALBIN (HAH Physician) the first of a series of teaching CDs on echocardiology, arranged by AusHEAL Brisbane team member Dr DARRYL BARSTOW, (Cardiologist) and sponsored by AusHEAL. 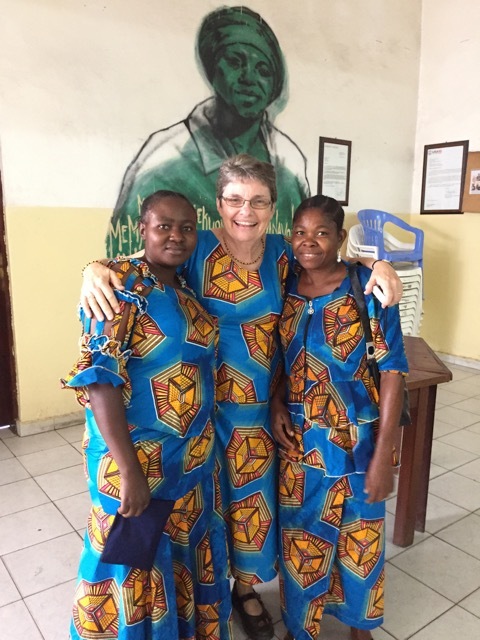 GWEN has prepared for English classes she is to hold with the Finance staff at HEAL Africa Hospital as well as spending time receiving the many HAH staff and adherents welcoming them back and ‘bring greetings’, so important in this relationship-based culture. The clinical work increased for NEIL after the USA team departed. Patients were seen and triaged with some scheduled for surgery. 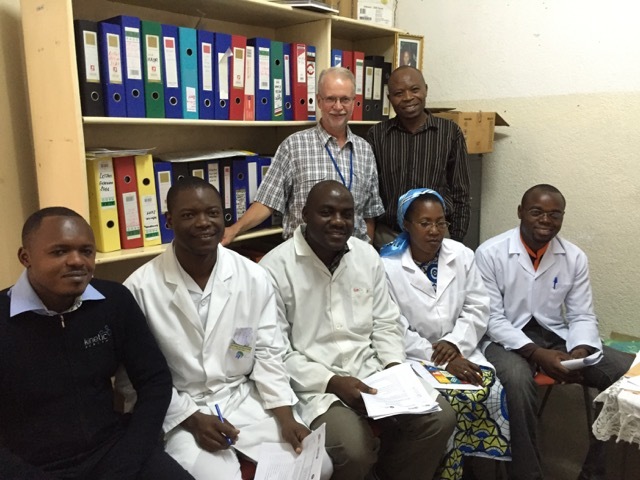 The work of establishing the new surgical training programme continued, involving meetings with both trainees and HEAL Africa Hospital staff trainers so that they understand the course structure and curriculum. Other HAH staff were consulted to achieve as much co-ordination as possible within the hospital. GWEN has been put to work minuting some of those meetings. She & HEATHER have continued to teach English. They participated in the significant International Women’s Day celebration conducted by HEAL Africa Hospital on 8 March. All female staff were given a holiday and encouraged to join the celebrations. DAVID meanwhile has been following through with many of the decisions made at the HEAL Africa Board Annual General Meeting. The work of HEAL Africa Hospital is enormous. Both Irish and USA guests who work for outside organisations have arrived at Maji Matulivu (where AusHEAL team members stay) in these past weeks. They constantly tell us of the great developmental work that HEAL Africa Hospital is involved inning created. US-AID recently assessed one (HAH) Project in the area of support for victims of sexual violence, judging it to be one of the most sustainable projects they have seen in the region. 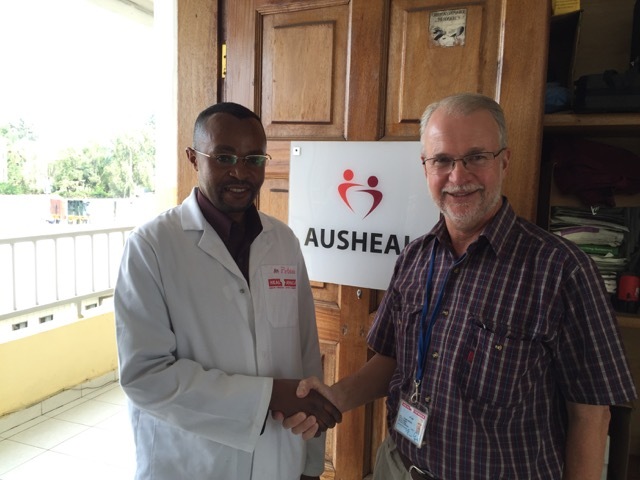 It is a privilege for AusHEAL to partner with HEAL Africa Hospital in its medical work.